Ben, I am also really interested in the final product, been looking at Brian's mufflers also. Not very pleased with the current B&B, GHL etc solutions. Would like to make a package purchase sometime later this year. Yes the dyno runs will be controlled. The only change made will be the headers. 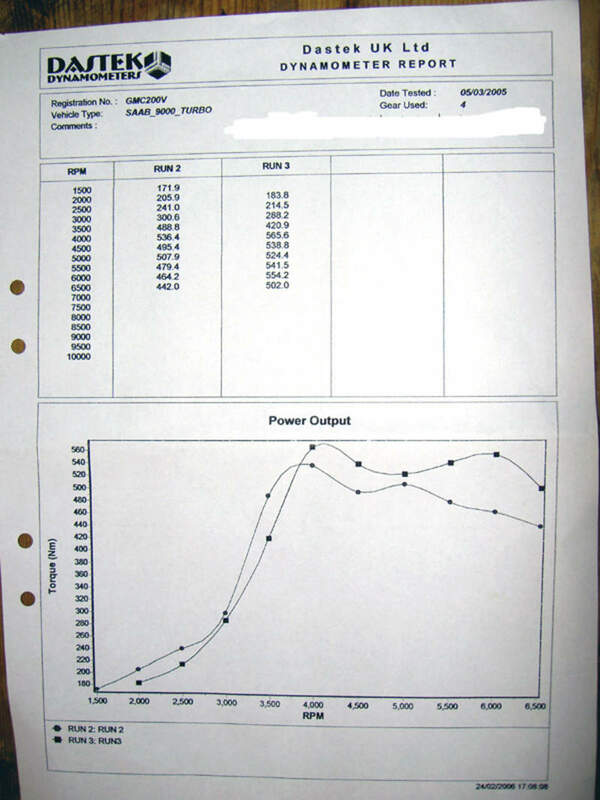 I do not know if the dyno I use can graph boost but I will find out. That is a very good point and one that has been noted as an issue with B&B and others. (shrug) Lots of theories here. IMO, go with what has proven to create beaucoup HP - I love the B&Bs I now have. Lag? Almost zip. Can't say I need any more HP than I already have. I'd chase HP gains with other means: Turbo, inlet plumbing, Zork, removing ALL emissions crap and ONLY leaving the WUR and bypass valve. If I can make one suggestion for your benchmarking the header systems. Could you log the AFR's during the dyno test? You may find one system is more effective in scavenging than the other which will affect the AFR's. Ideally, if you could adjust the mixture setting to get them as close as possible, but I know I may be asking too much. Thinking out loud, CIS is air flow sensing and mostly self compensating within the ranges the comparisons should be in. Changing out the headers should not effect AFR's. However, we might see where boost enrichment is triggered which could be cool and a valid test of how soon each system comes in. That is, if enrichment is triggered at .5 bar and one system dose so 300rpm earlier, that could be significant and a valid fact to sell more systems. Using the same muffler and if possible the same WG's and being able to monitor actual boost is the minimum to be able to truly compair. If boost is not tracked one might be more testing the effectiveness of the WG circuit than the header design. At least as it comes to total HP made. In a Normally Aspirated engine that would be true with the CIS systems, since we are just dealing with, basically, an air pump. But with a turbocharged engine, the exhaust gas temp and velocity will have a direct effect on turbocharger compressor output. The exhaust systems being tested will probably have different characteristics in that respect with the 993 HE's, I suspect, having the advantage there due to shorter primary's. Probably not a big difference, but noticeable. Of course things on paper look a whole lot different when tested in the real world. I had a pic of 935 factory headers and they weren't equal-length design but quite short and stubby pieces. I'll try to find it on my old computer. 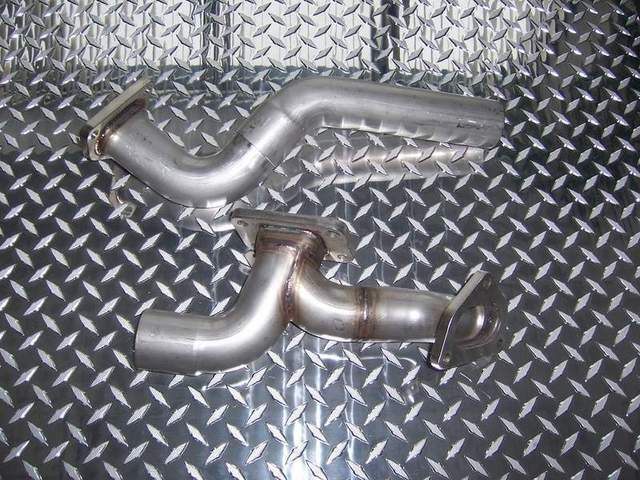 I believe OEM 993 HE's with turbo piping will be nice aftermarket add-on for 930's. As long as ovelap is non-existent and revs moderately low (which they will be as long as cams are mild), all lengthy equal-length stuff won't be utilized fully. Thus short, light and well made 933 HE's are probably better idea as long as heating needs to be utilized as well. We had lot's of discussions in this thread. There is lot's of good info there. I also posted a dyno from car equipped with OEM short-stubby cast-iron headers and then nicely made equal-length headers. It's a 2L machine making well over 500hp. As you can see, the very restrictive OEM "headers" make more torque off-boost and at middle revs. As turbo lives off gas flow, and that flow is partially generated by pressure difference fore/after turbine, and that pressure difference will be proportional to temperature difference and exhaust backpressure: short (but still well-flowing) headers and low backpressure is what is probably the most efficient design for turbocharged engine. So short design with carefully crafted 3-in-1 mergers and minimal amount of bends is probably the best. Which is what factory also choose for 935. Equal length is probably the very best but given packaging constraints I would rather chose stubby short design and keep heat than long headers and gain weight and loose heat. There is also a piece which is often forgotten: the more heat is retained in headers the more of it will be used to run the turbo, the more efficient engine will be while on-boost. This is probably of no importance for us, as nobody drives for longer time on-boost but old F1 cars were very efficient designs. If 993 HE's are to be dynoed against equal-length "snake nest", one should pay attention to keeping the boost the same. Different amounts of backpressure might offset crude 930 boost device (a spring), and resulting 0.05 bar of difference might abtain false results. CIS should be fine, it only measures air that has been sucked into engine and dispatches fuel accordingly. Thus, AFR's cannot change unless there is air-leak or some major EGR-reversion due to hot cams. I agree with previous posters regarding 993 HE's being a nice trade-off regarding their reliability, light weight, price and availability. My guess regarding dyno results on otherwise stock 930 (as long as boost is kept the same) is: 993 HE's will give more torque off-boost and slighly more in middle-range on-boost. Equal-length will have a slight advantage on very top. 5-7HP or so. It's just a speculation of course. Last edited by beepbeep; 01-04-2009 at 02:14 PM.. I plan to dyno the different setups with the only change being the headers/exchangers. If there is a difference in boost due to design we need to see it. A stock 0.7bar waste gate will be used to test the units that will accept it. The twin waste gate setup will be using 38mm TiAL's. A correction factor can be used if the boost is altered. Yes, AFRs will be displayed. I map that with every run and consider it to be critical information. The WUR will not be adjusted between setups. It is a stock rebuilt unit, again to set a real-world baseline. Brian, is twin scroll just a T4 thing? Mounting a t4 in the stock 930 location could be troublesome for CIS folk getting the 4inch outlet bent around and back into the engine bay right? The 3inch is bad enough? Maybe a center mount 934 style set up would be better for a t4, I think it would be better for a t3 too, pipes to the flange would be equal and people wouldn't need such an aggressive bend straight after the cold side outlet. Ben and Goran can answer that one. With a twin scroll I do not think there is much reason to have the secondary tubes equal. Keeping the turbo in the stock location allows use of existing 930 muffler designs including a cat for those that need it. A center mount turbo would not leave much room for any muffler. A center mount turbo would not leave much room for any muffler. These guys design and make mufflers, very good ones, a muffler could be designed for a center mount easily. Anyway, sourcing some 993 heat exchangers is not as easy over here, then having flanges flipped... If i can get some at a good price I'll buy this setup, it's cold without heat. believe it or not i sold 5 setups already so looks to be promising. The final product pictures will come today. Spence should you wanty me to I can try and source some 993 heat exchangers and do the flange swap. Thanks Ben, have you got a rough idea of price? I know there's a set lurking around Sydney that you rotated for someone but they never mounted them, I'm trying to remember who's they were. after the intro they will probably be @$800 plus heat exchangers still not bad all things considered. I plan on offering heat kits for these exchangers as well.